People following this blog must think I'm just a crazy guy building cars and never operating the layout... Well... They are indeed right! But hey, model railroading has multiple facettes and car building is probably one I enjoy the most. Among them, accuracy of decal sheets was extremely problematic. By example, I ordered a few Tichy cars with decals. At first, I thought to myself: build the car per instruction and apply the relevant decals. So wrong I was. 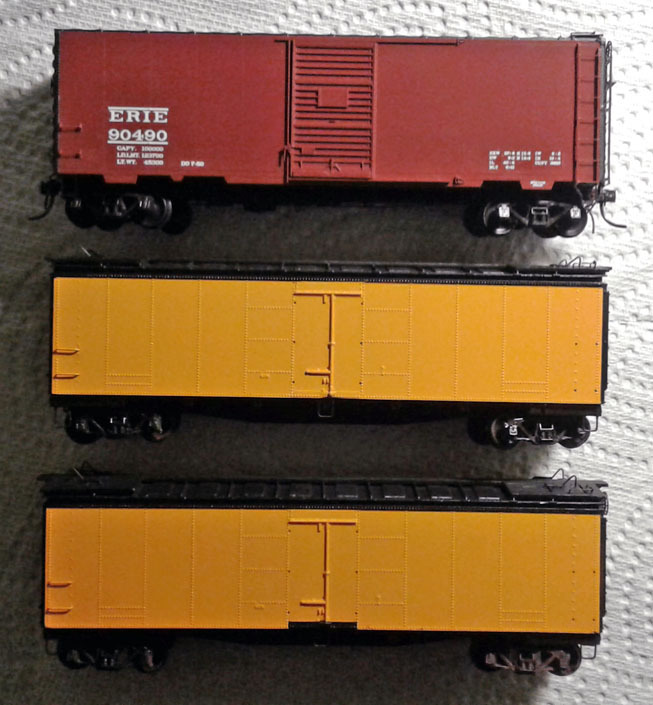 First, I discovered the USRA rebuilt decals for NYC cars were slightly wrong here and there. Not too much but I had to tweak things a little bit. However, the Pennsylvania decals were as bad as can be. The artwork was smudged and the decal film brittle. I could do nothing with them and thus the car is laying on my desk until I get replacement decals. 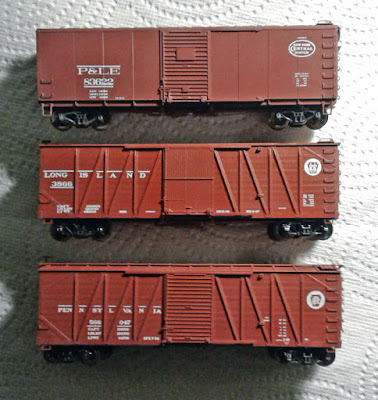 I also bought a Kadee PS-1 ARR boxcar. 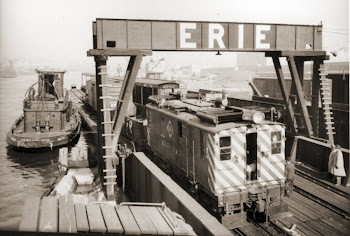 Erie did have a few ones and since the car was unlettered and painted brown, it was an easy candidate for lettering. One again, I found out the Tichy decals were wrong. In particular, the font used on the Erie Diamond logo was so off I'm still scratching my head. Fortunately, I have left over from CDS Lettering that will do the job perfectly. But now, many more steps have been added to the process, making it slower again. Some other built date will have to be replaced too. Remark I'm not complaining. This is part of modelling, particularly when you try to be more prototypical. And while I'm not annoyed, I now better understand older modellers complaining about decals and details. If you care about them, you quickly end up stumbling here and there. The only to do is to sit back, assess the situation and take action accordingly. Kit Manufacturers Comparison or Where's The Fun?